If you’re concerned about your mobile privacy, as well as web surfing speeds, it’s time to rejoice, as 1.1.1.1 is now available on both Android and iOS. Originally unveiled for desktops on April 1 (no joke), the DNS resolver can be downloaded for free from Google Play and Apple’s App Store. What the new mobile app does is basically allow you to flip a switch and instantly hide your internet connection info from prying eyes. Your Internet Service Provider should no longer be able to sell your browsing history to the “highest bidder”, at least in theory. DNS, for those unaware, is short for Domain Name System, essentially describing the “directory of the Internet”, according to Cloudflare’s very informative blog post detailing the initial 1.1.1.1 release. Cloudflare is a company that offers a wider range of services for both everyday web surfers and website developers, allowing it to make 1.1.1.1 “free for life”, with no in-app purchases or upsells, as everybody seems to win here. The millions of sites on Cloudflare get a much-appreciated performance boost when visited by 1.1.1.1 users, the company’s network grows in both size and reliability, while users receive peace of mind, as well as improved speeds. 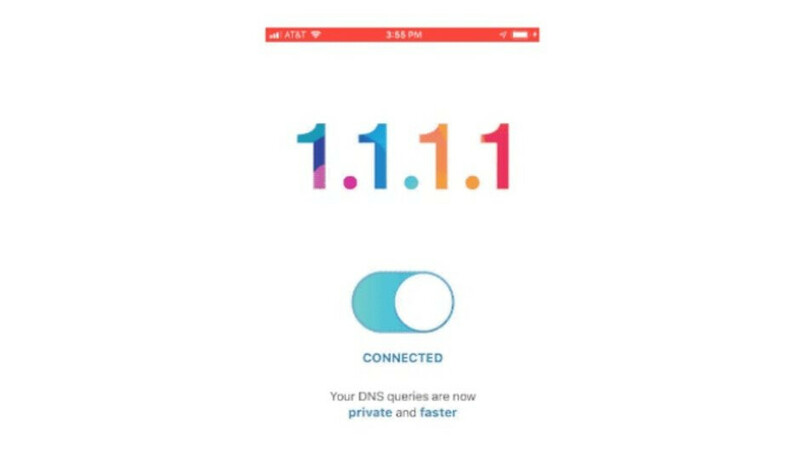 Billed as the “fastest public resolver” out there, 1.1.1.1 is unlikely to solve all your mobile security issues, but it’s a great first step towards a “faster, more private Internet.” No manual network settings changes needed, just install the app and push a (virtual) button to hide your DNS queries. It's that simple. Looks neat. I'll try to see if this can bypass ISP's throttling on some site. Nope. It prevents using any other VPN at the same time. For a power user who uses VPNs and Ad blocker VPN software, this is a BIG NO-NO. Just installed on both a IPad Pro and XS Max.,.Safari seems way way snappier! It's not working: every site is able top see my real IP. If I also enable "block connections without vpn", I no longer have an internet connection. That's not how it works Leo. It's a dns resolver not a vpn. All it does is replace your isp's dns with Cloudflare's. As Vasra said above it's completely useless for those of us who use an always on vpn. However I use their dns on my home router in addition to my vpn. You're right, I didn't even look at it, thinking it's a vpn app. My mistake.